Coed-Y-Gelli is located half a mile outside the Victorian town of LLanfairfechan Conwy, located in its own private grounds with a stream running by the side of the property. It is within ten minutes walk of the town centre and twenty minutes walk to the promenade and beach. 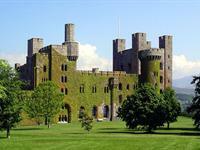 Penrhyn Castle is a National Trust well worth a visit. 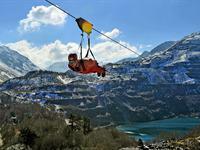 Adrenalin ride on the Zip wire high in the air over the Quarry.